Mix tuna with mayonnaise. Spoon into the center of sweet peppers. Serve and enjoy. It was either bologna and cheese, or tuna sandwiches. Mom packed me a brown bag every day of my elementary school career, and never veered from those to options. The first was mostly okay. The second was always soggy. So when I grew up, I eschewed tuna sandwiches. Looked for better ways to serve that stuffing. And spooning it into mini sweet peppers was the perfect option. 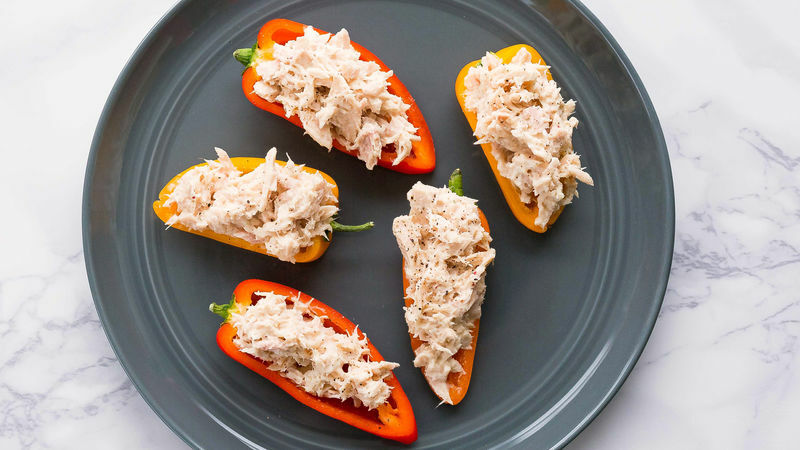 Snappy and zingy, tuna pairs perfectly with a pepper. The flavor combo here is awesome. The fact that you can make it in 5 minutes? Even better. No more soggy sandwiches for me (or you.) 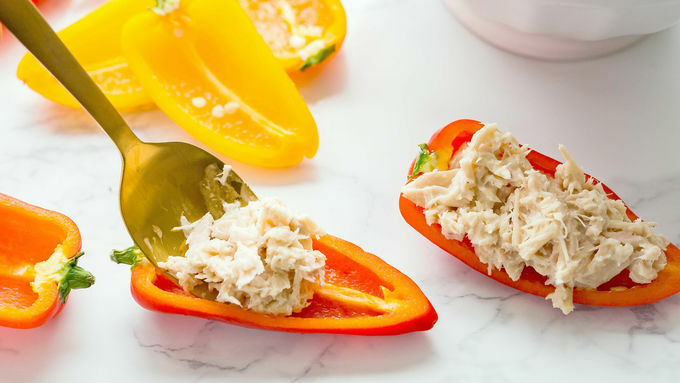 It’s tuna peppers for the win. What a great way to upgrade the usual.